Porsche Salt Lake City has been serving the Salt Lake Valley since 1958 as Utah’s first Porsche dealer, and one of the first Porsche dealers in the Country. Porsche Salt Lake City is proud to be an eight-time recipient of the Porsche Premier Dealer Award, which identifies the top 25 Porsche Dealers in the United States. We are one of only seventeen Porsche Exclusive Manufaktur Dealers in the United States, and the only Porsche Exclusive Dealer in Utah. We have been and continue to be managed by the Strong Automotive Group. Here at the Strong Auto Group it is our business to seek the best ways, through a Porsche dedicated staff and a state of the art facility, to continually exceed our clients expectations. Why Porsche Salt Lake City? The many benefits of “Strong Team Service” are certainly reason enough to choose Porsche Salt Lake City. We have the largest Porsche inventory in the Inter-mountain Region, the largest used Porsche inventory in the greater Utah region, and we ship our Porsche’s all over the country. Build and Customize Your Porsche – Exclusive Manufaktur Partner. We specialize in building and customizing the Porsche you want. We are proud of the distinction as being one of the highest awarded Porsche Exclusive Manufaktur Dealer in the country! This means that you will only find the most unique and spectacular Porsche’s in the world here at our dealership. As one of only a few select Porsche Exclusive Manufaktur dealerships in the United States, this affords you the opportunity to order options and colors that you might not even be aware of! We are proud to be an ongoing sponsor of the Kimball Arts Festival and Fashion Gala. The Strong Auto Group supports a myriad of causes and concerns in our community such as: The Children’s Tumor Foundation, Camp Kostopulos, Cars4Kids, and Toys for Tots. We are also proud to support University of Utah athletics. Porsche Salt Lake City remains “Strong Porsche” To better serve you. We recently completed building a new state of the art Generation 4 Porsche Factory Dealership, one of the first in the whole U.S. 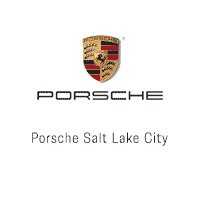 Following current luxury auto-trends, “Strong Porsche” has been renamed to Porsche Salt Lake City. Strong has been the trusted name for luxury vehicles in the Salt Lake Valley for over 60 years! We are still family owned and operated by the Strong family. We look forward to having you as our guest where you can enjoy one of the most modern Porsche facilities in the U.S. We have been and still are, “Going Strong” for over 60 years!